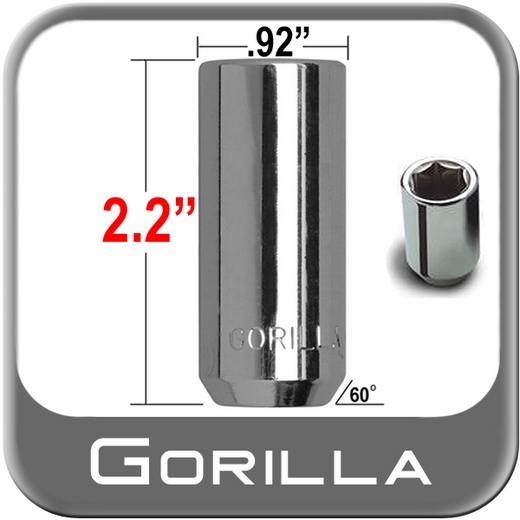 Take time to upgrade your lug nuts with Gorilla High Tech Hex lug nuts. The smooth exterior of the Gorilla High Tech Hex lug nuts are an excellent accent to your wheels. A factory fit is just one of the many benefits of using the Gorilla High Tech Hex lug nuts. Gorilla High Tech Hex lug nuts are heat treated for extra strength.